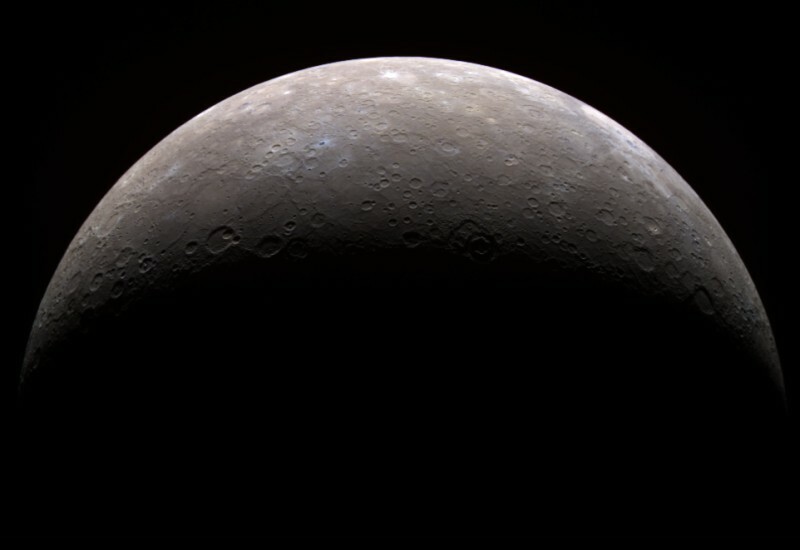 Explanation: Hard to spot against the twilight glow near planet Earth's horizon, a crescent Mercury was imaged close up by the MESSENGER spacecraft early last week. Colors in this remarkable picture were created using data recorded through infrared, red, and violet filters. The combination enhances color differences otherwise not visible to the eye across the innermost planet's cratered surface. In this view, light bluish material seems to surround relatively new craters, contrasting with the mostly drab, brown terrain. 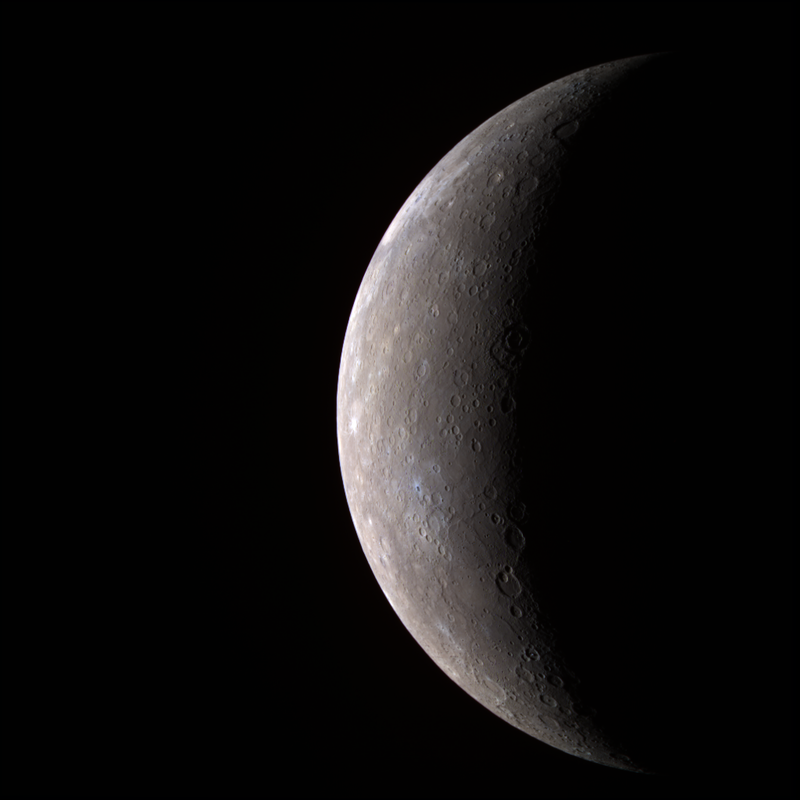 Mercury itself is 4,880 kilometers in diameter. The full resolution image shows features as small as 10 kilometers across.